In his own words, he looks “like a murderer”, and many consider that to be the least of his crimes. 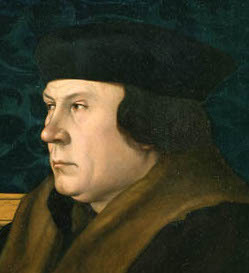 Hilary Mantel’s Thomas Cromwell is an enigmatic figure even to those who claim to know him. Cromwell appreciates the power of silence: “It is wise to conceal the past even if there is nothing to conceal. A man’s power is in the half-light, in the half-seen movements of his hand and the unguessed-at expression of his face. It is the absence of facts that frightens people: the gap you open, into which they pour their fears, fantasies, desires”. He is a reticent man by times, but eloquent when required. It is this use of half-light, half-truths, and silence that fascinates his contemporaries, that creates mystery and fear, and a sense of omnipotence and omnicompetence. Cromwell operates in a new a strange world of shadows, figures, theology and administration, which his fellow courtiers are unable to comprehend and compete. “Thomas Cromwell is now a little over forty years old. He is a man of strong build, not tall. Various expressions are available to his face, and one is readable: an expression of stifled amusement. His hair is dark, heavy and waving, and his small eyes, which are of very strong sight, light up in conversation: so the Spanish ambassador will tell us, quite soon. It is said he knows by heart the entire New Testament in Latin, and so as a servant of the cardinal is apt – ready with a text if abbots flounder. His speech is low and rapid, his manner assured; he is at home in courtroom or waterfront, bishop’s palace or inn yard. He can draft a contract, train a falcon, draw a map, stop a street fight, furnish a house and fix a jury. He will quote you a nice point in the old authors, from Plato to Plautus and back again. He knows new poetry, and can say it in Italian. He works all hours, first up and last to bed. He makes money and he spends it. He will take a bet on anything”. Wolsey uses these skills as the vehicle for the dissolution of England’s great monastic orders; their houses are overdue reform and the money garnered shall pay for his new college at Oxford. Cromwell is no lover of Rome and despises the waste and sloth that he encounters. He proves an irresistible force, impermeable to the insults and jibes of his social betters and possessing the legal knowledge and intellectual flexibility to stump all objections. He is also introspective and deeply human. His heartbreak at the death of his wife and daughters in plague epidemics is movingly portrayed by Mantel. Indeed, it is this capacity to transmit the complexity of emotion that Cromwell contains sparingly and with subtlety that makes him such a superb and arresting narrator. Cromwell’s flashbacks are a key narrative device in the book; delivered in present-tense with a vivid, humorous retrospection, they penetrate to the core of the man in a profound fashion. Cromwell appears to be a man of stone, a particularly intangible and flexible stone granted, but certainly his face is unreadable to those who encounter him. Mantel manages to depict that ‘stonefacedness’ alongside the subterranean quicksilver of flowing thought, words, and deeds that comprise the real man. There is something incredibly poignant about the journey of Cromwell and his fellow characters. We know that many will not survive the crises to come. The references to Wolf Hall itself throughout the book, with its’ Seymour connotations, bode ill for our hero. For a hero in fact Cromwell is. He is more a man for all seasons than the intractable martyr Thomas More, and the intellectual equal of both More and Henry VII. He is a man with sensibilities closer to our time, in a way, than to that of most of his contemporaries. 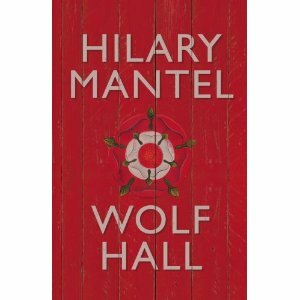 Taking five years to complete, Wolf Hall won the Man Booker Prize in 2010, and although a sequel is in the works we may have a while to wait to be enthralled again. I have not enjoyed any book as much in quite some time, and having inflicted it upon a great number of people with success, I am as impatient as anyone! I can only recommend it most highly to lovers of history, excellent literary fiction, and to those who wish to be transported into a different world; a world of high drama, low intrigue, and essentially human figures reborn under a supremely gifted hand. Really good review something I will keep in mind next time I’m in the library or bookshop. Thanks! It’s really worth it. ” A Place Of Greater Safety”, also by Mantel, is equally good. It focuses on Danton, Robespierre et al before and during the revolution. I do agree with your review – it brought Cromwel alive and put him in a very positive light. Didn’t know it took so long to write – I won’t hold my breath for the sequel! I really enjoy her work; she’s had an extra-ordinary life, worth a wikipedia at worst!